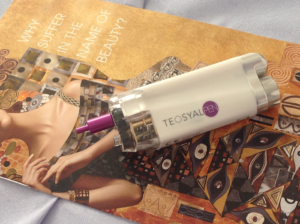 Jill’s innovative TeosyalPen® is revolutionary in hyaluronic acid injections. It allows Jill to bring her art to life and provide comfort to patients throughout administration. Teosyal Pen allows Jill to be more precise with the volume of gel. The injection speed is programmed by Jill according to the requirements of the specific area to be treated. The gel is injected slowly and regularly, using this innovative motorised system. Message Jill for more information.